A very specialised surgical theatre dedicated for critically injured patients being admitted to the Alfred’s Trauma Centre. With operating suites constantly in use at the hospital this new facility provides immediate theatre facilities to trauma patients where minutes and seconds could mean the difference between life & death. 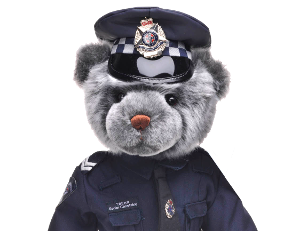 This unit was dedicated as a Police Memorial in memory of Senior Constable Tony Clarke who was murdered at Yarra Junction in 2005. In the early hours of Sunday 24th April Senior Constable Clarke of the Know Regional Traffic Task Unit was on patrol along the Warburton Highway. It is alleged that he intercepted a vehicle to administer a breath test to the driver and at some point this person managed to get possession of S/C Clarke’s gun. He was fatally shot and left on the side of the road as the offender stole the police car and escaped. The police car was found abandoned a short time later and a police search located the offender in bushland where it appears he took his own life using the police officer’s gun.